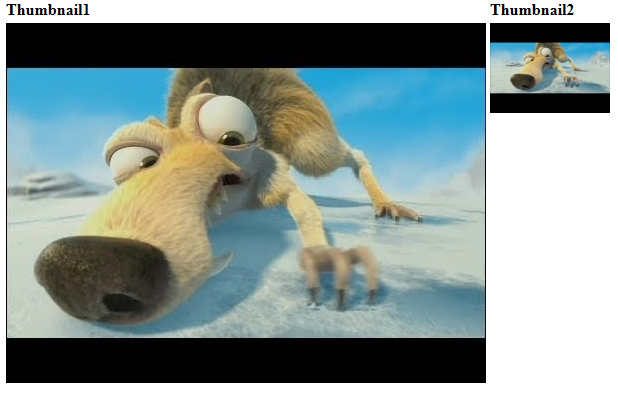 In this article I will explain how to create or generate thumbnails from YouTube videos in JQuery using Asp.net. In previous article I explained Generate thumbnail from images in asp.net and many articles relating to JQuery, asp.net, SQL Server etc. Now I will explain how to generate or create thumbnails from YouTube videos using JQuery in asp.net. i am suresh kumar from tamilnadu... can you tell me how to add a video in my website??? So how to get the time of that image? How to type words on the image? What kind of software can I use? Sir can u please help me in making youtube like site. Can u please tell me which is the best way to store and display youtube videos in asp.net c#. but please how do i use this example to create a thumbnail for videos i uploaded on my system not youtube?.